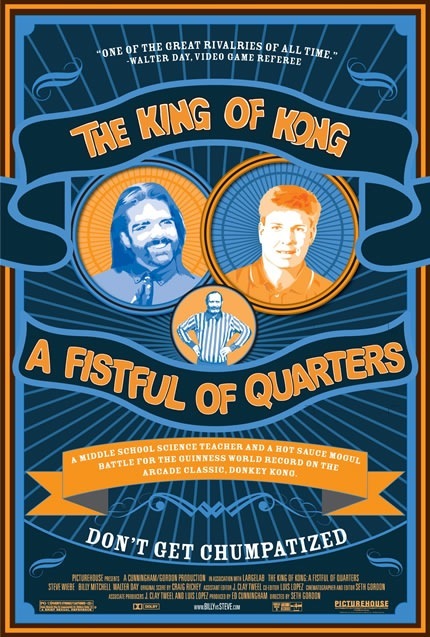 > everyone needs to go out and rent the documentary King of Kong: A Pocketful of Quarters. this is the greatest documentary i’ve ever seen. hands down. its about the original “Donkey Kong” game and the nerds who compete for the highest score ever. this dude Steve decides that he’s going to beat this dude named Bill’s 20 year old score: 847,600 or something. oh MAN its good. i’m a Steve Weibe** fan now. plus there are so many “gosh you lead a lame life” moments. super hilarious. 1. it makes fun of video gamers a lot. 2. the greatest villian EVER. i hate him. and he’s real. 3. some of the most incredible quotes ever. there are a lot of other reasons. but you should just go see it. i’m not joking guys. you just should. ** – the ENTIRE movie i couldn’t figure out how i’d heard this name before and i just got it. I’m in my room watching tv and Steve Levy just wrapped up SportsCenter. phew. >i like reason number 4. Previous Previous post: >I-35: Highway of Holiness.